In the continuing discovery of translations of Tove Jansson’s various writings for adults, something becomes ever clearer: thirteen years ago the literary world lost a great talent. The twelve stories in this collection are, for the most part, absorbing, but significantly they mark a shift of form. It becomes evident that the stories collected in Jansson’s previously reviewed A Winter Book (Sort Of Books, 2006; from stories originally written between 1968-71 and 1991-98) are chosen specifically for the overall semi-autobiographical effect. Travelling Light (Sort Of Books, 2010; from the original Swedish Resa Med Lätt Bagage, published by Schildts Förlags Ab, Finland, 1987; English translation by Silvester Mazzarella) is a collection of characters other than Jansson herself, encompassing themes of disorientation, the balancing act of isolation and connection, and the inescapability of our ways of being. Such wordiness is not becoming of Jansson’s fine clipped prose. Her characterisations tend to sit well and cleanly in the mind, even if sometimes given only a brevity of pages. Within this more eclectic range of people pressed into the lines, even the character in the title story seems more at ease: this piece also having been included in A Winter Book, Jansson’s first person male narrative there feels a little incongruous. Here, the character of Mr Melander is surrounded by other stories that don’t make him jump out sharply from the whole. Also here, regarding characterisations in the Travelling Light collection, Jansson presents two elderly men, in The Hothouse, whose quiet squabbling over a bench used for reading and contemplation leads to some mutual respect and even longing; there is a well-drawn but loathsome child, in The Summer Child, who casts doom and gloom over his island hosts; a woman tends to an injured lover, following an unknown and unnamed external catastrophe in the rather prosaically titled Shopping, yet there is an edge of the psychological drama creeping in. In Shopping, Emily goes out at dawn whilst Kristian recovers from an injured leg, but there is the nagging feel that whilst she ‘shops’ (that is, loots), she also ‘keeps’ Kristian: is Kristian being told the whole truth there behind the boarded up window? In other stories, Jansson attempts the same feel but to varying degrees of success. In The Woman Who Borrowed Memories, for example, Stella returns to a studio apartment she used to live in fifteen years earlier and where, now, Wanda occupies the place. Wanda tells Stella that really it was she, Wanda, to have been benevolent to Stella in her parties there and not, as Stella believes as true, the other way around. There is an undertow, for sure, but Jansson does not quite set the tone as cleanly as she could have done. There is the motif of a more modern lift installation which recurs in the tale, but it doesn’t play itself out fully into enlightenment. In The PE Teacher’s Death, Jansson has her characters arranged in a somewhat stiffly-put dinner date, deliberately drawn in the manner of received wisdom on social etiquette. Whilst some observations are succinct enough, the attempts at psychological disturbance fall a little short. Henri’s wife, Flo, wavers in her coming to terms with the eponymous character’s demise, an environmentalist, and with the social rigour of the occasion, at the house of Nicole, whose husband, Michel, a property developer, is away. The effect of the whole, however, doesn’t quite strike true enough. The same can be said for the lead character, Viktoria Johansson, in The Garden of Eden. That she is a professor visiting her God-daughter, who is suddenly called away, in Spain is fine enough; even that she begins to fall into all the social trappings that might appear in any other place does not perturb the reader: however, that Viktoria so readily manages to assume mediator role between two feuding women, and the delicate potential psychological nuances in the microcosm, feels a little out of kilter with believability. In the whole silly business [of life], the only thing that really matters is passion. It comes and goes. At first it just comes to you free of charge, and you don’t understand, and you waste it. And then it becomes a thing to nurture. What can you do with something like that? Just let it flower . . . Look, here’s our lovely hostess! Isn’t that right — shouldn’t we just let it flower and admire it? It’s one way to live. Trying to recreate it is another. That’s what it boils down to. It is a small nudge out of social ways they are otherwise expected to engage in for May and her partner, Jonny. In The Gulls, Jansson returns to island retreat territory in placing over-stressed Arne, child-like in his dependence on Elsa, far from the urban crowd. It is a transition Arne struggles with, and he seeks the love and patience of Elsa who, in her nature-knowledgeable ways, chooses to hide small pieces of the brutal real world from him. Jansson is really far more at home in this sort of landscape than in the urban territory. In A Foreign City, for example, small disorientation attempts aside, the reader feels as claustrophobic in the words as Jansson may well have done amongst the bricks and stones. When we came home to eat, Anna [the hired help] asked what we’d been playing and my son told her we were much too old to play. We were exploring the jungle. It’s been snowing all day. I’m learning to write about snow. It is love, it is light in both its forms, and it encompasses disorientation, isolation and connection, and — in Tamiko’s resignation that Jansson won’t receive her in Finland (Tamiko’s next line highlights a subtlety: ‘When you’re the eldest in your family in Japan, you can’t leave home and you don’t want to’) — there is also an inescapability of our ways of being. There is no doubt that Jansson’s contribution to the written form encompasses the crisp, the clean, the sharp, and the beautiful. Some accounts offer us the heightened middle of a life led: A Winter Book offers us the book-ends to Tove Jansson’s long life. Herein lie twenty stories dealing with childhood and older age; however, for the larger part, the reader is really engaging with semi-autobiographical material. We can suspend our imaginations for a certain period and indulge in the idea that pure fictions are present, but at the back of the reading mind is the knowledge of something different taking shape. The feeling is all the more succinct for this reader, having recently immersed in Jansson’s much acclaimed The Summer Book (1972, 2003) and her novel, The True Deceiver (1982, 2009). The body of work is like a succession of waves. A Winter Book (Sort Of Books, English translation from the original Swedish by Silvester Mazzarella, David McDuff and Kingsley Hart, 2006) is, according to the introduction by Ali Smith, a combination of select stories about childhood from Jansson’s first collection (Sculptor’s Daughter; Bildhuggarens dotter, 1968) and a smattering of pieces from various later sources, translated into English for the first time. The stories span periods between 1968-71 and 1991-98: the latter being three years before Jansson’s death at the age of 86. The reader must first accept the slow pace of the story offerings in this collection in order to begin the process of engagement (whether having read previous Jansson offerings or not). Each piece stands alone, but as the reader delves deeper into the pages, Jansson’s characters start to return to the shore, in the analogy: of course, here are the repetitions of Jansson’s parents, Signe (known as Ham, for Hammarsten) and Viktor, both artists, but here too are others such Old Charlie, sketched in to a few of the stories, before taking his leave again. This sketching process is one of Jansson’s signatures. She uses an economy of words which, for the most part, works well (we are left to think); however, perhaps a little more could have been offered in the economy of words that form some of the story titles: Albert, Jeremiah, Annie are titles that don’t frame the story offerings so well. I go to bed and hear Daddy tuning his balalaika. Mummy lights the oil lamp. There’s a completely round window in the bedroom . . . One can see out across all the roofs and over the harbour and gradually all the windows go dark except one. It is the one under Victor Ek’s asbestos wall. There’s a light on there all night. I think they’re having a party there too. Or perhaps they’re illustrating books. Jansson’s mother was an illustrator. Added to this forming worldview, as written, are moments of understanding of childness, some succinct wisdoms extolled, and comprehension of the (ir)rational logic that children sometimes express. For example, in The Stone, the child narrator pushes a metallic-like object she’s found all the way home and up several flights of steps, believing it to be made of silver (silver, not gold, which will make her rich); there are wisdoms such as ‘a [male] friend never forgives, he just forgets, and a woman forgives but never forgets’, and the quiet Zen-like quality of ‘One always lands up somewhere. That’s important’; of the irrational — or rational — logic, in The Iceberg a child narrator articulates that, if no-one speaks about the iceberg that the family row past, then that iceberg therefore belongs to her. Jansson’s accumulated wisdoms, as spoken through her child narrator, also include (in Parties), regarding breaking the day in gradually following a gathering, ‘One must be able to move about in peace and quiet and see how one feels and wonder what it is one really wants to do’, and (in The Dark) ‘It is terribly important to find a hiding place in time.’ In fact, this is another wave to gently form and break (in the reading realisation that this ‘hiding’ is a motif that finds its occasional return): Jansson is hiding from the world that troubles her — in the very real sense of her returns to her summer island retreat (as seen in The Summer Book), as well as can be assumed in her children’s books about Moominvalley and its own worldview, and also in particular Winter Book moments such as in Snow (in which a child/Jansson, and her mother hide away in a snow-bound country house, where the latter works at her art); in Flying (in which the child narrator imagines flying and effectively hides away on the ceiling); in The Iceberg (in which the child expresses a desire to climb into a small grotto on the eponymous ‘vehicle’ floating by). In The Boat and Me, Jansson describes her older child self, defying her father’s wishes by taking a small boat out for a solo rowing trek around the islands. It is a process of hiding, in part, but it’s also indicative of the spirit of adventure, the love of raw nature, and a certain sign of the times. Jansson shows here how children just need to do things sometimes (‘I don’t know why it’s important’, implying that it just is), and tells of ritual and rite of passage in rowing all the creeks and headlands and seeing ‘her territory’ (land) from the vantage point of the sea. Albert is related as a childhood friend, and the story also touches on the child logic: ‘[On the raft] we reached deep water, but that was alright because we had both nearly learned to swim.’ There is that spirit of adventure to the story of the child narrator and Albert setting sail and getting caught out by the fog, but there are also the child ruminations here on death and fear (the former being an area Jansson returns to in later life, later in the collection, but from a more world-weary perspective). When looking closely enough at the collection as a whole, we begin to see the way that nascent processes on death, as well as on love and beauty, art and play, begin to form. In Snow, the child narrator/Jansson becomes anxious at the snow trapping them in their country retreat, but her mother stops working and tells her that they’re hibernating, and they play, and the child is overwhelmed with love for her because of all of this. In Annie, the housekeeper by that name has a tempestuous relationship with the child Jansson; the child admires Annie’s strength and beauty and Annie understands the state of childness when the child becomes anxious at them stealing bird-cherry flowers openly and brazenly (Annie acknowledges the child’s sense of ‘wrongness’ and introduces hiding into the act of theft). Later in the same story, Jansson describes how the child plays ‘house’ with the things left out for her by Annie, with a sense of duty, knowing that a better house could be built in a different room. In High Water, Jansson describes her father, a sculptor, and his love of- and inspiration gleaned from storms: so Jansson, the child, loves storms too. They are of art. It is another small incoming wave to tell of this child’s forming worldview, taken on from the adults around her. Jansson’s father seems to need purpose and/or to be someone in touch with the seascape. Perhaps this is also true of Jansson herself. Flotsam and Jetsam brings these ideas of worldview, seascape, art or beauty together. Despite the story being a tale of the convoluted local rules of salvage and principle, we can see how the idea of ‘doing things correctly’ is forming. There is some degree of twisted correctness here in the tale, but there is the nuance that is with due concern to the process of art: art is in the doing. This can be further read in The Spinster Who Had an Idea, in which the eponymous regular summer island guest and would-be artist tries her hand at various art endeavours but then interrupts the almost sacred ritual involved in Jansson’s parents’ casting of plaster. Art and play come together, in the interpretation, in Jeremiah, in which the child narrator/Jansson sees play as a kind of art form after meeting and being in attendance to (‘looking after’) a visiting geologist where neither speaks the other’s language and so the communication is in play. When a female geologist also turns up, it unsettles the play/art relationship. In The Spinster Who Had an Idea, the child ultimately struggles with the concept ‘what is art?’ and with her father’s interpretations of what this is to him (albeit unwritten, this is heavily implied). There are stories in this collection that aren’t so subtle or are laden and convoluted and which don’t reach the depths to which they might aspire. The Dark, for example, is a messy stream of consciousness affair with no real focus apart from being the continued inculcated worldview of the child who believes her lot to be the way it is, perhaps the only way we can or should be. German Measles is concerned with jealousy for a pet monkey and about having a guilty conscience. As such, the tale is very slight and without great depth. The first of Jansson’s later writings in this collection, The Squirrel, is similarly somewhat lacking. Despite the occasional succinct observation, such as Jansson’s insight into words placed face down overnight (‘because if words lie face down there’s a chance they might change during the night’), The Squirrel is a long and somewhat turgid exposition alluding to age: the routines and fixations of an isolated old woman who hides away (between her island’s rocks, in her bed), who potters with unnecessary necessaries, and who considers exactnesses. A squirrel invades her island, but there’s no empathy or sympathy here for her or for the squirrel. It is the child Jansson as an elderly woman but it doesn’t feel like that child character who naively takes on everything of the adult world around her. There is a similar distancing felt in Letters from Klara. The theme is the tribulations of age but this epistolary piece reveals little of any great significance, despite (again) the occasional moment or enigmatic touch, such as in one of the crotchety Klara Nygård’s letters regarding how the aged start to give away their possessions. There is a passing thought, however, that maybe Klara Nygård may well be linked to the wise old Madame Nygård, portrayed in Jansson’s novel The True Deceiver (there being a penchant for returning characters, as would seem to be the case). This is as much as can be taken from this piece. Jansson then delivers a piece of unexpected art. Messages begins in prosaic manner with a brief note from Tuulikki Pietilä (Tooti), Jansson’s partner, to her. It soon transpires that Messages is a collection of excerpts, no more than a few lines long each, received in various correspondences following Jansson’s success as an author. It is, at first, difficult to grasp the idea of this piece, as seemingly banal as these messages begin. However, gradually, through careful selection and juxtaposition, there is a sort of world-weary nuance at play, and the whole is shot through at exactly the right positions with banal and beautiful counterpoints. In amongst the variety of requests for product endorsements for Moomin pictures (on sanitary towels and marmalade jars, for example), for specially requested tattoo designs, or a request made by a sheepish ‘friend’ in asking for a drawing for her grand-daughter, in amongst a missive from a plagiarist incredulous that permission should have been sought for use of Jansson’s work, and amongst sinister accusations and cold warnings of Jansson being ‘watched’, there are the short, unneedy information-giving banalities of love from Tooti and the occasional poignant and extremely beautiful comments of a young Japanese fan. Dear Jansson san, I have collected money for a long time. I will come and sit at your feet to understand. Please when can I come there? I brought the washing in, you can put the potatoes on at 6. Someone called Anttiia phoned. Dear Jansson san, Take good care of yourself in this dangerous world. Please have a long life. With love. The overall effect is quite stunning. This reader/writer is left to wonder what Jansson would have made of these comments/messages here. There is a natural connection from Messages to Correspondence, in which Jansson creates a story of some of Tamiko Atsumi’s letters to her. Tamiko comes across as increasingly obsessive in her ‘love’ for Jansson from afar. In its overall brevity, the piece develops an uneasiness because of this ‘love’, albeit potentially lost in translation in the faltering English of someone admittedly coming to grips with learning the language. However, deftly and simply, Jansson brings us back to Tamiko’s elegant, humble and poignant concluding words. We have been on a journey and we continue with the final two story offerings in this collection. In Travelling Light, Jansson writes ‘My voyage had suddenly been altered and my peace destroyed.’ This line is apt for this piece as we initially travel with the author in what we read as an at least semi-autobiographical tale of someone determined to escape the clamour of people by leaving life behind for a trip on a ship into the unknown. However, the tale of the fictionalised Jansson we fall into the fictive flow with is unsettled some half-way through when the narrator transpires to be a Mr Melander. At this point a certain degree of interest is lost because, in the context of the collection as a whole, this just does not fit. Perhaps Jansson has been far too deft here for her own good in successfully unsettling the reading process in a piece that focuses, in part, on the unsettling nature of other people (though we can’t read this for sure). It is a shame because Jansson offers some fine perspectives of world-weariness, though the nagging returns as to who is narrating here and this, ultimately, overwhelms the idea of how someone eventually returns to character traits they’ve always apparently exhibited, as is the direction of the end of this story. The collection ends with Taking Leave: undoubtedly an account of some poignancy for Jansson (being concerned with the inevitability of age and of having to leave her summer island retreat with her partner, Tooti, for the very last time); however, the deliverance of that poignancy is not altogether realised in the writing. There is a short and satisfying detour about whether to signpost visitors to the ‘secret room’ in their soon-to-be discarded house (they don’t signpost but Jansson writes ‘We put a small bottle of rum in [the secret room] as a surprise and as a reward’), but for the larger part Jansson makes use of the writerly device of Tooti narrating to her the tale of their boat being sunk one summer in a storm. It is a back-story nod towards the memories of place, times, objects, and leaving the island behind. The device feels somewhat clumsy though and Jansson then moves into her final symbolic ending: that of an old kite of theirs, found again, and taken away on the wind across the Gulf of Finland. Despite this, Taking Leave doesn’t quite leave us with a feeling of everything being left behind: Jansson floats off, as does her kite. What A Winter Book does do is add to the character that is Tove Jansson, who we see in her childhood adventures and forming worldview and comprehensions of art and beauty and play, through her primary interactions with her artist parents, and in the affects on her by the occasional childhood friend, adult acquaintance rowing by, or oddity of adult such as Jeremiah the geologist or Annie the housekeeper rowing by her life in the analogy; A Winter Book also delivers the wisdoms of Jansson the elder, her world-weariness and resignations, and her coping strategies with the world that is so much bigger than she ever could deal with. Jansson’s identity is of the seascape: her writing is of waves and returns. In the end, Jansson lost faith in the sea, became fearful of it, and she knew it was the beginning of the end. A Winter Book marks the book-ends of a long life in art and beauty, love and nature. Burns’ collection of short stories has been sitting on my bookshelves for the best part of at least fifteen years. It seems to have always been part of the fabric of my book collection, and a book which has been mentally tagged over time as ‘commendable’. This tagging process is a curious one: one of some sort of indelible internal inking; it suggests that the book must have been previously read. That said, on reflection after reading the collection these past few weeks, there’s only a faint trace of recall of parts of its contents. Does this suggest that the stories therein just weren’t strong enough (or is it more to do with the eroding nature of the passing of time)? I decided to read ‘again’ almost on a whim: partly confident that the mental tagging would serve me fine, partly in trepidation that my reading tastes or acuity in analysis weren’t once sufficiently developed. What I find is that all of the above is true. About the Body (first published 1988; Sceptre edition 1990) is, for the most part, subtle, well-written, and well-constructed. Certainly in the first half of this collection of fourteen stories Burns delivers precise, cut-glass, clear, clean prose. Hardly anything is wasted in the arrangements of words. Markers are placed early on in stories and economically returned to later. These stories have the feel of care in construction, thought, considerations of structure and texture. There are some slender and beautiful juxtapositions in place. Sometimes it feels as if Burns is crafting a piece, out and out, from a single kernel of an idea or from the delicate arrangement of one notion touched against another. Good food and wine, I told him, should not be the province of the merely wealthy, just as high culture must, if it is to survive, be taken up once more by the masses. John’s Return to Liverpool is at first a little odd to fathom, though it soon forms around us like steam in the warmth of the bathroom. Is ‘John’ the Lennon of Liverpool we automatically concoct in our minds? It isn’t immediately clear, but it doesn’t need to be: Burns leads us through the story and we see that, yes, here is Lennon, though in a form other than we suppose him to be. Burns seems to be playing with the way we construct connections in our heads. Very deliberate structural arrangements begin to form in stories such as How Things are Put Together, and here Burns explores filmic qualities in his writing. The body of work so far tends towards a complementary, precise and crafted affair. Even the story lengths, as individual pieces, seem honed and clipped — as consistently similar as they are. Subtle juxtapositions form in stories such as Practical Living: ostensibly about the death of a pet rabbit, this story develops around emotional connections and unspoken difficulties regarding a disabled child. Later, in My Life as an Artist, a man and his wife each can’t let go of their separate passions or, rather, that which troubles and forms them: he, a maintenance man/caretaker aspires to be an artist; his wife is in continual grief for their lost baby from many years gone by. Burns shifts the dialogue well, creating a believable pair of gender perspectives, and he manages to blend the sensibilities of the two characters into the whole. In Blue, a man awaits the outcome of an archaeological dig in which it’s anticipated that his RAF pilot father will be found, having crash-landed there before the main character was born: Burns plays with the reality/imagined liminal spaces that the emotive connection can blur. However, from Guido’s Castle onwards, at the half-way point of the collection, there’s almost a deconstruction taking place: several of Burns’ careful connection methods from the earlier part of the book begin to slip into the more exploratory. The aforementioned Guido’s Castle builds to a point of empty non-commitment on the part of the writer: why did Guido build the tower at the back of the villa that he and his dying wife share? Burns leads us towards some succinct and teasingly cerebral conclusion, but we discover that the tower is merely folly. Burns means to leave us unsatisfied, but it isn’t a taste that is embraced. A Country Priest and Fogged Plates seem at first to be pieces back in form, but significant twists in each only serve to disturb the reader: the slightest of fictive cheating has taken place. The former, for example, unexpectedly places us in a far more profound scenario than we at first realised; the latter plays with where we are in time. That we gradually work out a time and place in any given story should work as a reward for our reading and connecting the puzzle pieces: when we’re shifted from that path, rudely as it were, when we’re walking comfortably along in the story’s authority, it risks unsettling us. By the time Burns presents us with Babel, towards the end of the collection, the exploratory is well-bedded in: the result here, however, is somewhat confused in its descriptions, place, time, and reason for being. The very last and longest story, Dealing in Fictions, makes a promising start, concerned as it initially is with a man and his analytical, intellectual partner, and the promise of some great truth playing itself out, as evidenced in the opening line: ‘Life always leaves you unfinished.’ Burns soon throws us completely with a sudden and unexpected event that rips through the narrative thread. This is not as unbecoming as in previous stories, as noted above, but what transpires thereafter is an eventual petering out of the potential force of the tale, and indeed the collection as a whole. In Dealing in Fictions, Burns starts to explore (not so subtly this time) the ideas of one of his characters (the Polish literary critic, Zurawski) within the structure of the story itself. Set against the backdrop of Irish terrorist activity in London, Burns explores the story of Peter and Ruth, and of terrorist activists Mary and Tony, through Zurawski’s eight hypothesised narrative structures. However, Burns only seems focused on the first of these (the intersecting biographies theme) before losing interest in dwindling word counts towards the rest. Perhaps this is another play on Burns’ account, though if it is then it’s far too subtle to be appreciated. Thinking on the collection as a whole, it is appreciated by this reader to be engaged in an English language book that hasn’t either been mangled by presumably erroneous translation or which slightly irritates at the edges with its own particular syntax. Burns writes as a British English-speaking native and we must always appreciate that which doesn’t slightly buzz at our own ears. That said though, there is a slight irritation in Burns’ choices of flat, almost prosaic, character names: Simon, Peter, Mary, Andrew, Neville, Tony, et al. It raises the question that has sometimes formed in my own writerly consideration: should we place our characters so blatantly in their landscapes by such choices, or can we afford to exercise more in the way of flourish and embellishment in this respect? Guido may even also fit into Burns’ characterisation structure, fitting neatly into his Italian landscape as he does. This all said, the mental tagging that first inked itself into my reading perceptions, regarding About the Body, is for the large part still intact: Burns writes here with some efficient, subtle, elegant prose, and for that the ink remains as was. Perhaps his subtleties in the first reading, several years ago (if, in fact, I did at all) were lost to me. My ability to analyse has deepened and broadened, and so Burns’ juxtapositional arrangements and structural explorations are now more evident. This said though, I’m left wondering what will remain, internally and indelibly, of Burns’ About the Body in another fifteen years’ time. After reading and reviewing Márquez’s Strange Pilgrims it seemed fitting to return to some of his earlier stories. In my previous review I had, after all, written that ‘reading Márquez is like coming home’. I stand by that, but now I qualify it with the following amendment: ‘reading Márquez’s more recent stories is like coming home’. It’s not that this collection as a whole is bad, it’s just that Márquez seemed in general to have turned a corner (on this evidence alone) at around or about the start of his forties (being around or about the late 1960s/early 1970s). Innocent Eréndira and Other Stories is largely comprised of stories from 1947-1953 (Márquez being, therefore, around 19-25 years old when having written them). These offerings, in places, are reminiscent — for this reader — of some of Kafka’s Meditations: their unnamed characters and settings, and their introspective focus, are not the precursors of Strange Pilgrims we might expect. The strapline on the Penguin Books copy of Innocent Eréndira and Other Stories (2007; first published 1972) states: ‘These stories abound with love affairs, ruined beauty, and magical women.’ This is inaccurate. These stories abound with perspectives on death. In retrospect, it perhaps cannot come as any great surprise that the running order of the book is such as it is. The first piece, The Incredible and Sad Tale of Innocent Eréndira and Her Heartless Grandmother is a novella length story, but its date is more significant (1972). This is followed by the less successful The Sea of Lost Time (1961), and Death Constant Beyond Love (1970). Thereafter, the collection retreats to the late 40s and early 50s period of Márquez’s writing career. With the exception of the beautifully crafted Someone Has Been Disarranging These Roses (1952), these nine stories can best be described as experiments along the way. There are flourishes of things still to come in these offerings, but by and large the early Márquez had greater words and ideas still inside him. By the time he writes Innocent Eréndira we see a shift in capability start to unfold, as glimmerings of writerly hope have done in earlier pieces such as Someone Has Been Disarranging These Roses and, to a lesser extent, the latter portion of Eyes of a Blue Dog (1950). The novella length work that is Innocent Eréndira is something Márquez is more adept at than the very short piece. He likes to unfold the story and there is engagement in this in the process. Márquez skilfully reveals the story and the characters: so much so that we forget that, actually, The Incredible and Sad Tale of Innocent Eréndira and Her Heartless Grandmother is a tale encompassing some sordid form of child abuse (Eréndira, the teenager, is subjected to prostitution by her grandmother as a means of ‘paying off the debt’ that Eréndira has brought upon herself in an accidental fire). Márquez drops in moments of what he’s later seen to embody — magical realism — for example, Ulises (Eréndira’s young love interest) turns glass objects to different colours just by touching them. Having offered us this glimpse of something interesting, however, Márquez doesn’t then follow through with it: leaving it to fester in the background and leaving the reader wondering if it will reappear at some stage. It doesn’t. It’s just a throwaway line. It needed nurturing. 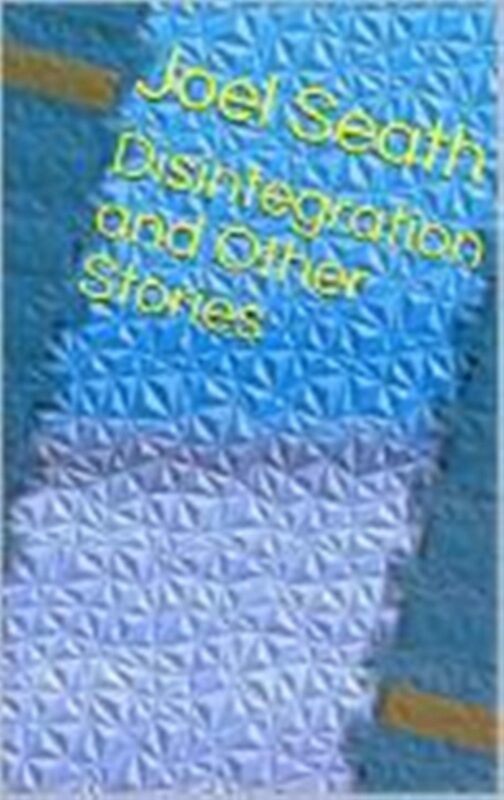 In contrast, Márquez does have a particular predilection in this collection for certain favourite words or motifs: the adjective ‘phosphorescent’ is repeated in various stories (as it also tends to turn up in Strange Pilgrims, if memory serves correctly); Márquez also has a penchant for the lone cricket, the sensory appeal of cement, and the death-imbued violet. Whilst these are not negative observations (aiding the connection of elements of a body of work), the English translation read here does suffer from the repeated and distracting use of such words as ‘lighted’ or ‘unlighted’, instead of ‘lit’ and ‘unlit’. Indeed, it is to the American English translation (from the original Spanish by Gregory Rabassa) that particular irritations are levelled when encountering such colloquialisms as: ‘Boy, you’re asking a mint’, ‘Don’t be a tightwad’, and ‘Then beat it . . . you lowlife!’ (The Incredible and Sad Tale of Innocent Eréndira and Her Heartless Grandmother). I wonder how the original Spanish phrasing played itself out. The translator, perhaps, may also be at fault (though I shalln’t know without further research) for the repeated inability to cope with certain grammatical structures: for example, in The Third Resignation (1947), Márquez is attributed with ‘He would have liked to catch the noise . . .’ It is, though, more for the early Márquez to straighten out the incomplete sentences that do tend to crop up in his writing, e.g. ‘Like all hard blows against nature’s firm things.’ (ibid). Some of Márquez’s shorter, earlier stories get lost completely from early on. The Night of the Curlews (1953) is, frankly, unfathomable with its repeated use of ‘we’ and its uncertain characters and place (it is not a wise story on which to end a collection that started with Eréndira herself); some stories in this collection lose their way part-way through a struggling piece, e.g. Bitterness for Three Sleepwalkers (1949); some stories here show early promise but then go astray, such as in The Sea of Lost Time (1961), in which — presumably — the lead character retreats under the sea to swim with the dead. There, under his fingertips — and after the fingertips, bone against bone — his irrevocable anatomical condition held an order of compositions buried, a tight universe of weaves, of lesser worlds, which bore him along, raising his fleshy armor toward a height less enduring than the natural and final position of his bones. This all said, there are the linguistic flourishes in his early work that amount to some chronicle of a Márquez foretold: ‘That cold, cutting, vertical noise . . .’ (The Third Resignation, 1947); ‘She turned her face to profile and her skin, from copper to red, suddenly became sad’ (Eyes of a Blue Dog, 1950); ‘. . . then she paused on the threshold, coming halfway into the room after, and with the voice of someone calling a sleeping person she said: ‘Boy! Boy!’’ (Someone Has Been Disarranging These Roses, 1952). It is this latter short story that particularly presses itself to my reading psyche: it did, and delicately so, back in 2009 when I first read this collection, and it does so again five years later. Perhaps the afterglow of that first read has shaped a preconceived notion that it would still be fine in its crafting, weight, and poise. This is an aside. What matters here on the second reading is that Someone Has Been Disarranging These Roses marks a significant point in this collection, coming at the end of the running order, and tarnished only slightly by the unfathomable The Night of the Curlews (1953). The narrator in the former tale is the boy in question, sought by the now grown woman who was party to the young child’s death some years beforehand. That the narrator, ghost, ethereal boy in question, is a child using adult language can be overlooked because the writing here is some of Márquez’s best in this collection. Thereafter, save the issues already outlined in the chronologically subsequent stories, Márquez starts to build his characters and places. Senator Onésimo Sánchez appears here in Death Constant Beyond Love (1970) and also, later, and to a lesser extent, in The Incredible and Sad Tale of Innocent Eréndira and Her Heartless Grandmother (1972). Márquez also describes Laura Farina here in the former story, come to sexually frustrate the ailing senator in order that he ‘straighten out’ her father’s ‘situation’: ‘Laura Farina sat down on a schoolboy’s stool. Her skin was smooth and firm, with the same color and the same solar density as crude oil, her hair was the mane of a young mare, and her huge eyes were brighter than the light.’ The Sea of Lost Time (1961), despite my aforementioned misgivings, does begin with the prospect of sensory place. Innocent Eréndira itself brings place, character, and the sensory together. What Innocent Eréndira and Other Stories as a whole offers us is not Márquez’s best work: it does show us flashes of the writer he is to become, but it does also lay before us some dusty, sometimes confused and confounding Kafkaesque introspections perhaps best documented as experiments along the way. In this collection the ripening of Márquez’s long writing career comes to fruition somewhere after these early predispositions on the theme of death are passed.